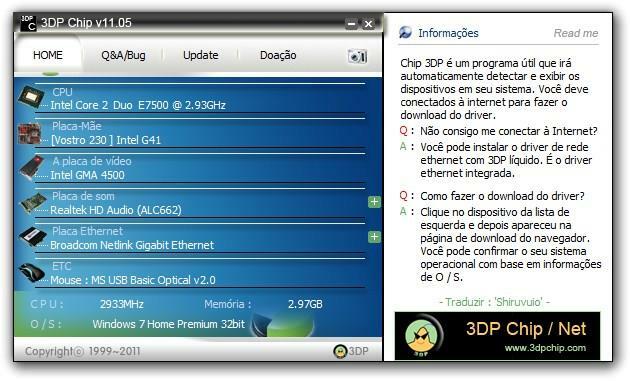 3DP Chip gives you the ability to view all your devices and then download the newest drivers quickly and easily with just a few clicks. You can use it just for enumerate the devices such as CPU, MOBO, Graphic Card, Sound Card and Ethernet Card. What’s more, you can check out extra details about each drive, sch as description, class, provider, date, and version, as well as exclude Microsoft products from the list. If you don’t want to have to search on the manufacturer’s website or you don’t even know what components are installed on your computer, download 3DP Chip for free to find updated drivers!